JDH Design can help your business with a wide range of services. Reach out to to see how we can assist you with your manufacturing challenges. JDH Design can assist at any stage of your project from concept to completion. 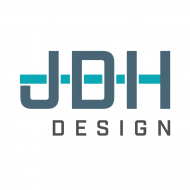 JDH Design leverages a network of machine shop and rapid prototyping suppliers to provide machinery and components. JDH Design can leverage industry experience to provide expert level Project Management for your Automation Project. JDH Design can provide valuable insights for improving your manufacturing operation.